This Is Ours is a program that can change the lives of children through visual literacy, and empower them as they teach each other about their environment. 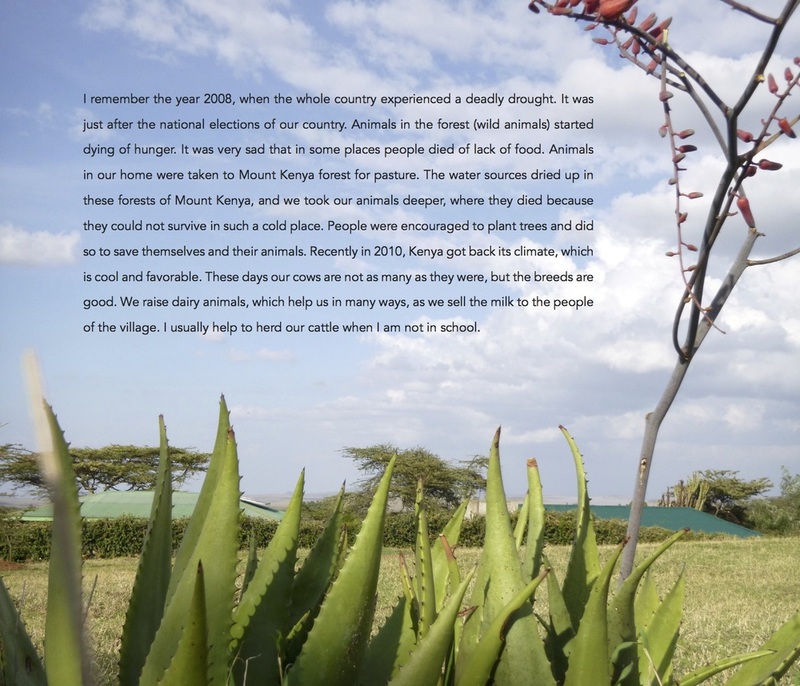 Focusing on personal knowledge about their home environment, students create a full color publication that becomes part of the This Is Ours library of books, created by their peers across the world. As students learn digital photography, writing and drawing, they discover their voice through the arts. 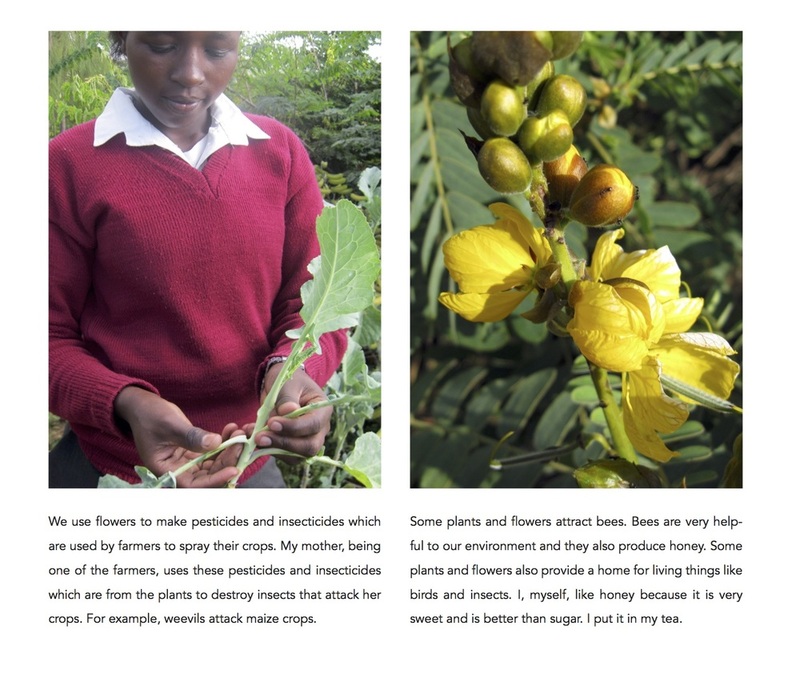 The photographs, drawings and writing in this book are all created by the students, and can provide a view into their world, as they foster global awareness of the diverse environments that we all share. Seven educators from five different schools traveled from the East and West coasts of America to the foothills of Mount Kenya to teach the This Is Ours curriculum to the Ngare Ndare Secondary School. Ngare Ndare forest is located on the northern slopes of Mount Kenya opening up into the great plains of the Kenyan Northern Frontier. This beautiful indigenous forest is part of the Lewa Wildlife Conservancy ecosystem that has recently been declared a world heritage site. The rainy season had just begun as we arrived, the vegetation was green and lush and the voices of the birds were resounding. We met up with our Kenyan team mates, Silas Kitonga and Saita Kitonga, and made our way up the big hill to the campus of Ngare Ndare Secondary School. We were given the entire Second Form (10th grade) to work with, a total of 32 boys and girls. Moments after we arrived, our students quietly filed in. We immediately jumped into the process of getting to know each other, and into the This Is Ours curriculum. Brainstorming as a community, the students arrived at seven topics that they wanted to share with the world, illustrating what was important in their environment. They came up with agriculture, animals, climate, irrigation, mountains and hills, plants and flowers and trees. Once these topics were set, our investigations began. Writing, drawing and photography filled each day with surprises. Some groups hiked up mountains, others demonstrated irrigation practices. Some of us went in search of animals that live in the area and some groups investigated expressing “climate” through photography. Every day we spent with our students was an incredible journey. Each participant shared his or her experiences, cultural knowledge, humor, joy and willingness to take risks with us each day. This was an extraordinary group of young people. In the past, we have worked within one ethnic community at a time, but in Ngare Ndare the community is made up of three different cultural groups: Maasai, Meru and Kikuyu. Because of the bounty of diversity, we were able to observe the students learning about each other in ways in which they never had before. The different types of investigation presented in the This Is Ours curriculum (photography, writing, illustration, and interviewing an elder) allowed the students from different cultural backgrounds and language groups to discover similarities and differences between their cultures. The conversations were thoughtful and respectful, and the students’ curiosity was contagious. We spent every single day in Kenya as students ourselves, learning more than we could have imagined from rich exchanges with our students. To preview the book and buy it, please click here.